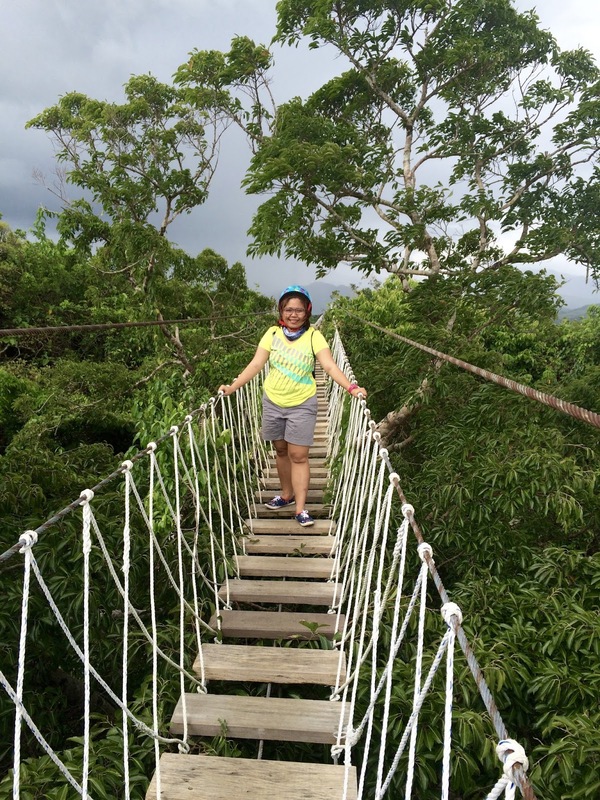 This is the highlight of our trip in Rizal, Philippines last July 19, 2016. We were booked for an afternoon trek so we decided to maximize our time and scheduled a visit to Pinto Art Museum in Antipolo as well since we rented a van. Museum tour can be finished for two to three hours. We just need to depart early so we can head first to the museum. Well, if you want to have great photos with less people, being early is the technique. Lol. 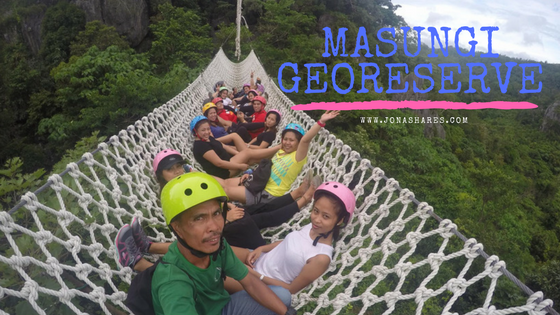 By the way, it is a must that you book and reserve your slots with Masungi Georeserve as the schedules are easily filled-up and they are not accepting walk-ins. 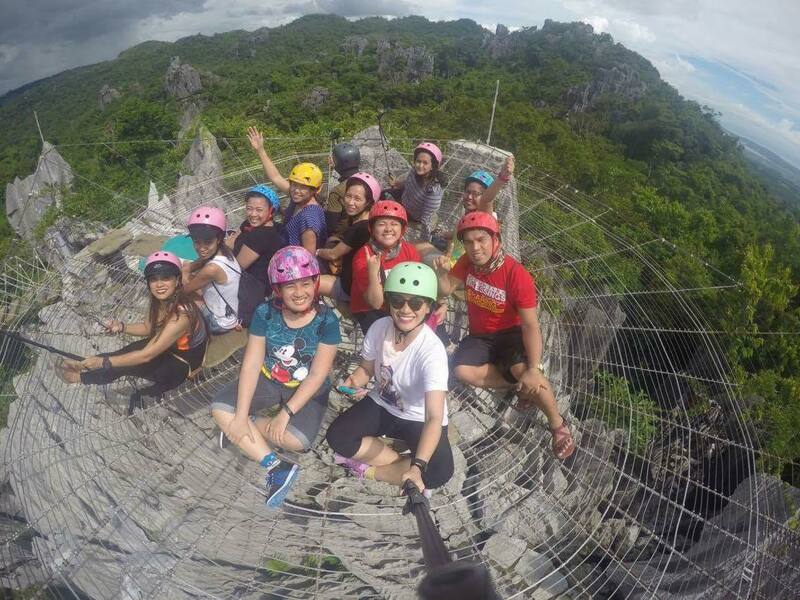 The admission fee costs Php 1,400.00 for the 4-hour trek with snacks included and one liter of mineral water. You need to deposit your things before the start of the trek. You are only allowed to bring the backpack provided by them, it includes a whistle for you to use in case of emergency. The backpack is for sharing so you need to bring only important things. Use of helmets are required. Masungi Georeserve is located in Rizal which can be accessed from Garden Cottages, this is also where you need to stop first and register. It was a pleasure to have Kuya Ruben as our guide. 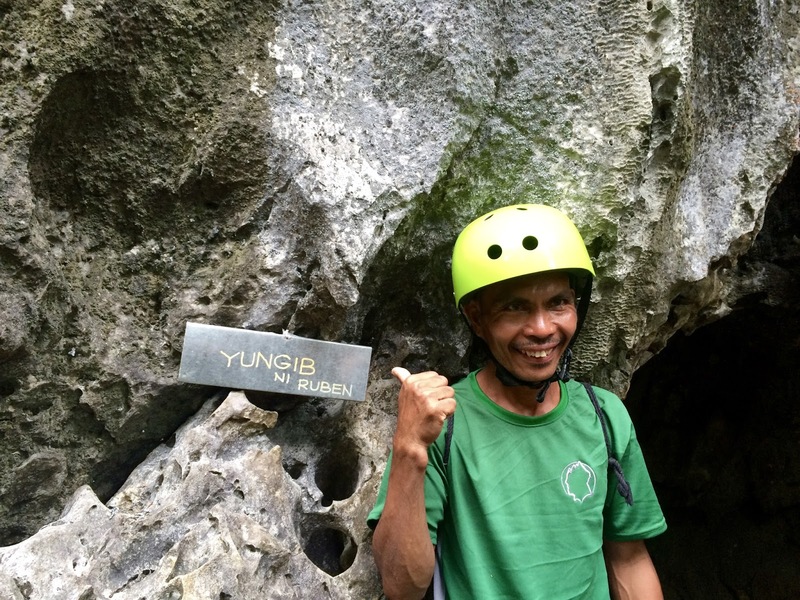 He was one of the people who keeps on discovering trails of Masungi Georeserve. "Yungib ni Ruben" was named after him. The trip was a lot of fun! Another encounter with mother nature. We made it! This looks like such a beautiful place. I would love to go to the Pinto Art Museum in Antipolo. WOw, what an adventure!!! This makes me want to book a trip to the Philippines just to experience this. Wow, what an awesome adventure that sure looked like a blast! I have some awesome friends from the Philippines they are just waiting for me to get there one day I might have to ask if they have done this. 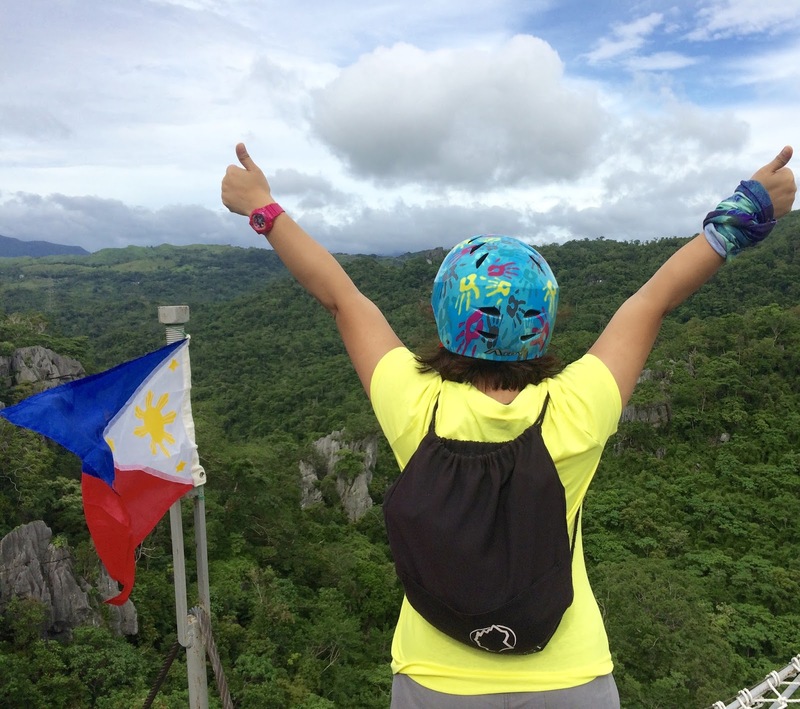 I've always wanted to go to the Philippines as an adult. We lived there for a time as a youngster but I don't remember it. Those views are killer. Just stunning. My friend will visit Philippines soon! I will forward this article to him! My stepmother-in-law was from the Phillipines. That looks like a fun experience with really great sights. this is crazy trip, I think. I loved the pictures. Will plan a trip to Phillipines with my friends very soon. I've seen people review this place before and I think it's really awesome. It's definitely one of the places that I'd love to go to. It's just beautiful out there. That's an awesome adventure and it would be nice to experience this in person someday! I think the view is just gorgeous! Wow! This place looks great. I should remember your tips to book early when I get the chance to come to the Philippines. On my those are stunning views! This looks like such a great place to visit! I'd love to visit the Phillipines! 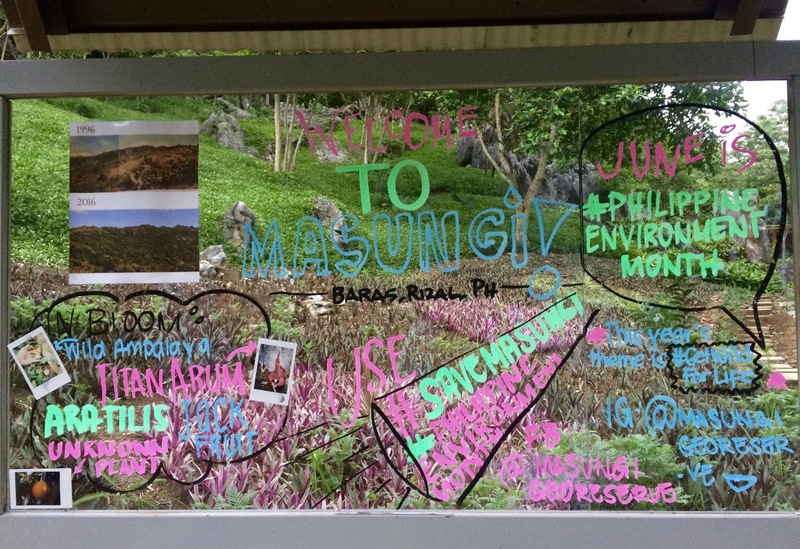 The trails of Masungi Georeserve all sound and looks like a great experience for sure. I am afraid of heights so I don't know if I would be able to do it but I would love to try. Thanks for sharing your amazing photos and experiences. Oh wow, this looks like so much fun! My kids would love this place and so would my husband, lol. What a view! That bridge looks so scary but it would be worth it to get to see all of that! Stunning! The views are awesome. The Masungi Georeserve looks like a place my sons would love to visit. They are the adventurous kind and would jump at any opportunity to go someplace unique. I like the hanging bridge but if it too high from the ground, I would not dare. This looks like it was such a beautiful place. I would love to be able to see it!